SRK slapped Farah’s husband, SRK-Shirish slapgate and SRK hits Farah’s husband…These were some of the headlines which Bollywood fans woke up to on Monday morning. The news that actor Shah Rukh Khan had slapped Farah Khan’s husband Shirish Kunder at Sanjay Dutt’s Agneepath success party had spread like a wild fire. It ignited several rumours on what happened on Sunday morning at Aurus, where the party was held. Let’s take a look at the situation. When the news of the slap came out, it was immediately known that it was Farah Khan who announced it by sending an SMS to all media. The message read: “Shah Rukh has always told me that physical abuse is the worst way to sort out a problem. It means the attacker has either a personal or professional crisis going on. It saddens me to see him doing the same.” Media reacted, posted and was really hungry for more. They tried to contact SRK on the matter. He kept silent on the affair. People present at the party however denied every word the couple said and vouched for the actor, who had just returned from hosting the Filmfare Awards. Ameesha Patel tweeted: “People like @iamsrk are seniors n shud be respected” “@iamsrk is 2 dignified n wud nevr do anything unprovoked..he is too classy n a thorough gentleman”. Famous photographer Dabboo Ratnani was also present at the party where this incident happened. He tweeted “I was present at Sanj’s party & Without Any Bias I Fully Support Shah Rukh @iamsrk”. 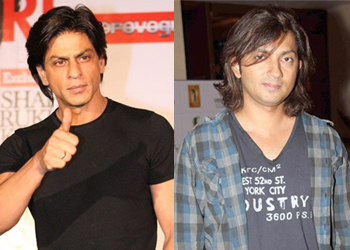 On lookers confirmed today that Shah Rukh never pulled Kunder from the back or attacked him on impulse. The whole incident turned ugly when people took to Twitter and started going against Kunder in a massive way. Actually everybody was more concerned about this ‘fight’ than any other political problem. Go figure! That statement raised a few eyebrows as to why he wouldn’t. He had just been hit (no pun intended) by the biggest superstar in the country and he is not taking the issue to the police? Why? Several people took to their website and believed that by not lodging a complaint, like any other normal human being would do after an ‘assault’, it can only mean he is not innocent to what has happened. But that was not the biggest surprise. That came today in the form of an apology. The most unthinkable happened today….Shirish went to SRK to apologize. The guy who only yesterday challenged SRK to a fight, called him names, was giving interviews right to left on the issue claiming to be the victim went to apologize to SRK? Nobody (not even Shirish fans saw this one coming) had expected anything like this to happen…atleast not anytime soon. Remember the SRK-Salman fight? They still don’t talk to each other. What really happened…? Or not? * Shirish pushes him away. Sanjay and SRK see what happens and intervene. Kunder pushes Dutt. That’s when SRK takes matters into his own hands and slaps him. * Shirish is asked to leave. A visibly irritated Sanjay and Maanyata leave the venue with SRK. What REALLY happened…. I don’t think we will ever find out. Only the people present, Sanjay Dutt, Shah Rukh Khan and Shirish know the truth. And none of them actually spoke on what happened. The whole thing could have turned even more ugly, but was nipped in the bud. But that doesn’t mean that people didn’t get their creative brains working on some of the best jokes on the SRK and Shirish slapgate affair. Watch out for the next article in which we bring you the best jokes on this issue. 17 queries in 0.482 seconds.